Calories that sneak in through beverages are usually forgotten. This is especially true when we are talking about alcoholic or sugary drinks, including fruit juices and soda. These drinks can be found anywhere, tempting you at gas stations, schools, movie theaters, airports, your workplace, even at the gym. 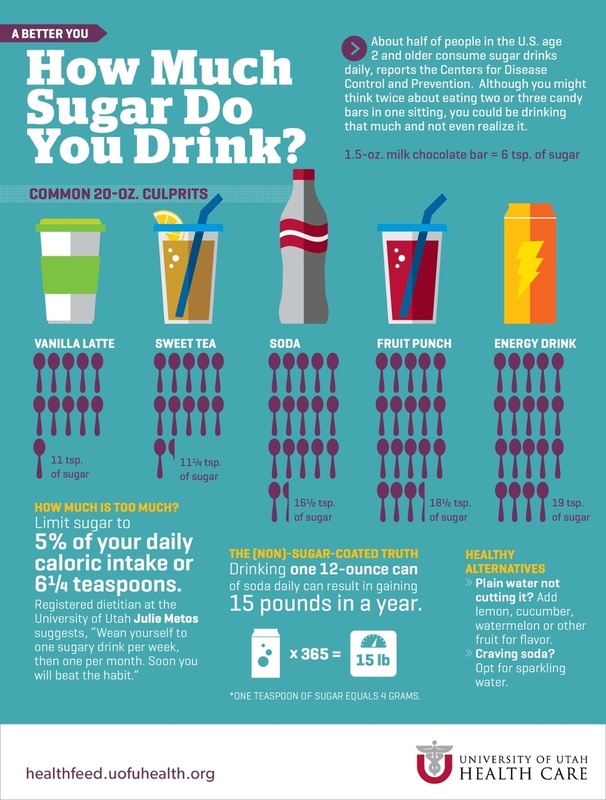 The average American drinks 400 calories on a daily basis! Our bodies are most efficient when drinking water. Plus, you'll feel much more satisfied and “full” if you eat your calories rather than drink them. “Don’t Drink Your Calories” is an easy and quick mantra to help you make good nutrition choices.